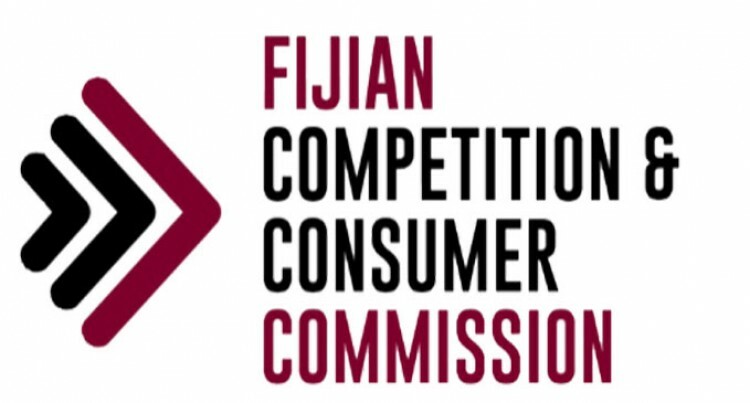 The Fijian Competition and Consumer Commission (“FCCC”) has been established under Section 7 of the Fijian Competition and Consumer Commission Act 2010 (“FCCC Act 2010”). The provisions of the Consumer Law in Fiji are covered under Part 3, 4, 6, 7, 8 and 9 of the FCCC Act 2010. The general purpose and scope of part six of FCCC Act 2010 can be described by saying that it contains provisions which prescribe and regulate agreements and conduct and which are aimed at procuring and maintaining competition in trade and commerce. Broadly speaking, these provisions either control or proscribe the making of certain contracts or arrangement or the reaching of certain understandings, the giving or extracting of certain covenants in relation to the goods or services, the conduct of engaging in the practices of monopolization, exclusive dealing or resale price maintenance, engaging in predatory price discrimination, engaging in Anti-competitive conducts, Misuse of market power and the increasing of market share by means of takeover or merger. The primary heads of legislative power comes from FCCC Act 2010 and provisions contained in Part six of FCCC Act 2010 is largely directed to conduct or agreements, arrangements or understandings in trade or commerce involving multinational companies, domestic firms, distributors, wholesalers and retailers, where such conducts hinders the competition. Restrictive Trade Practices (“RTP”) are anti-competitive behaviour that unduly prevent, restrict or distort competition, or certain business practices that limit or prevent competition and are against the law. RTP’s involves a business agreement between companies which controls prices or the areas in which goods are sold, preventing fair competition from other companies. It is done with the intention to limit competition for a particular good or service in a particular market. A restrictive arrangement is an arrangement entered into by persons conducting business, according to which at least one of the parties restricts itself in a manner liable to eliminate or reduce the business competition between it and the other parties to the arrangement, or any of them, or between it and a person not party to the arrangement. Any agreements, understanding or a plan of action between two or more people/traders that has the effect of lessening competition in a market, is deem to be illegal. Such agreements by traders can distort competition by cooperating with competitors, fixing prices or dividing the market up so that each one has a monopoly in part of the market. The understanding, agreement, contract or convenant could be express or implied, whether written, oral or by behavior, whether or not legally binding. Limiting the commodity or service available due to tied or conditional selling. If a provision of a contract or arrangements or understanding is made, which has an exclusionary provision; or has the purpose or is likely to have the effect of substantially lessening competition, that provision is unenforceable in so far as it confers rights or benefits or imposes duties or obligations on a corporation. Give effect to a provision of a contract, arrangement or understanding, whether the contract or arrangement was made, or the understanding was arrived at, before or after the commencement of this section, if that provision is an exclusionary provision; or has the purpose, or has or is likely to have the effect, of the substantially lessening competition. For the purpose of section 60, the “competition”, in relation to a provision of a contract, arrangement or understanding or of a proposed contract, arrangement or understanding, means competition in any market, in which a corporation is a party to the contract, arrangement or understanding, or would be a party to the proposed contract, arrangement or understanding, or anybody corporate related to such a corporation, supplies or acquires, or likely to supply or acquire, goods or services or would, but for the provision, supply or acquire, or be likely to supply or acquire, goods or services. The provision of any other contract, arrangement or understanding or proposed contract, arrangement or understanding to which they would be a party. The section 60 does not apply or in relation to a provision of contract where the provision is an exclusionary provision or has the purpose, or has or is likely to have the effect, of substantially lessening competition; or has the purpose, or has or is likely to have the effect, of conferring on any person (whether or not the person is a party to the contract, arrangement or understanding) exclusive rights under any Law or FCCC Act 2010. This section does not apply to or in relation to a contract, arrangement or understanding in so far as the contract, arrangement or understanding provides, or to or in relation to a proposed contract, arrangement or understanding in so far as the proposed contract, arrangement or understanding would provide, directly or indirectly for the acquisition of any shares in the capital of a body corporate or any assets of a person. Contracts arrangements or understandings restricting dealings or competition are a concern if they are used by a firm with market power to foreclose the market to rivals. Market foreclosure occurs when a firm that has market power in one market uses its market power to restrict dealings or competition in another market. Furthermore such contracts can also have a significant impact on competition where the decrease in demand of victim firms’ products is large enough to deter them from entering or remaining in the market. This effectively prevents new firms from entering while crowding out the ones which are active in a sector, thereby having negative impact on the Fijian consumers. It is an offence to engage in Contracts arrangements or understandings restricting dealings or competition. If traders (multinational companies, domestic firms, distributors, wholesalers and retailers) are not sure on the legitimacy of Section 60 of the FCCC Act 2010, you may contact FCCC to seek further clarification.